A fancy lot of bits and bobs for those who can’t leave their Rega turntables alone. 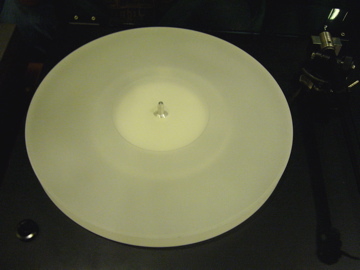 I TESTED a locally-made replacement acrylic platter for Rega turntables some years back for AudioFile, and came away impressed. 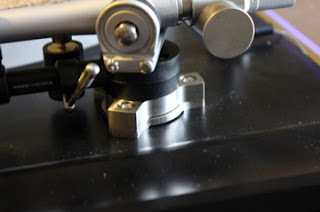 The protagonist behind that item has been busy and since then, produced, among other replacement/upgrade parts, an aluminium sub-platter, silicon rubber belts, a stainless steel pulley which will allow two belts to be fitted, and a thrust bearing to be glued to the bottom of Rega’s motor. These have come to be known as the “Michael Lim upgrade parts”. Lim (no relation to moi) seems disinclined to coin an official brand name for his items, preferring to be a hobbyist who is willing to sell stuff he’s made to others. Charge that Rega! 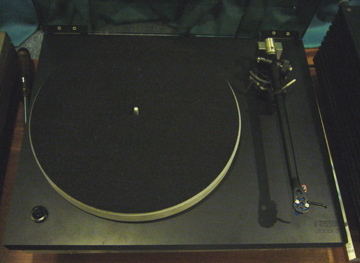 These are among the numerous aftermarket parts available for Rega turntables (above and below). “I need something fun to do in my retirement,” says he. 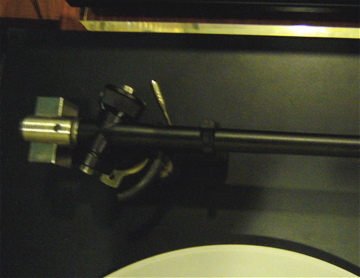 It was an opportune time to test some of these items as I recently acquired a mint used Rega P1. 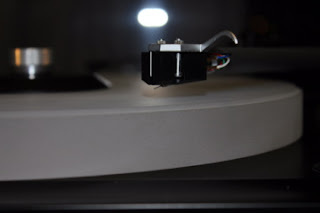 The test procedure was not ideal as Lim supplied a separate P1 turntable already fitted with the replacement parts, but I was able to substitute some of them back and forth to the point I felt confident with my observations to report them. My first observation is that unless one replaces the bog standard MDF platter on the stock P1 with something better, these tweaks won’t give optimum returns for the money. Improving the platter made the most noticeable difference, and also allowed the other replacement parts’ perceived differences to come forth. Naturally, I used Lim’s acrylic platter, but he opines that one would get good mileage from Rega’s own glass platters. 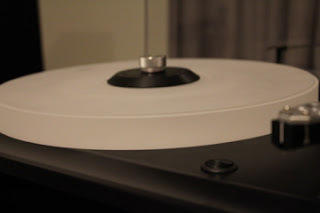 I then tried using the original Rega sub-platter in the modded P1, and compared the results to that with the aluminium sub-platter in the stock P1, first listening to each in “before” and “after” modes respectively. 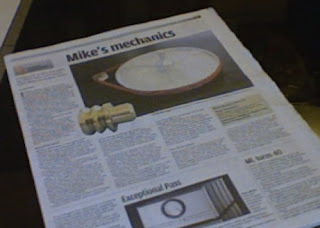 My perception here was that the cumulative effect of the metal pulley, twin belts and the thrust bearing on the motor made a more significant difference than one would get from merely substituting the aluminium sub-platter into a stock P1. The combined effect of these bits brought a better sense of drive and resolution of detail, the last no doubt the result of a lowered noise floor. The basic P1 rhythmic throb and sense of propulsion in the music is not diminished, but sonic images now come across as more solid and present, with sharper outlines and better scale and dimension. I perceived a cleaner sounding treble also. 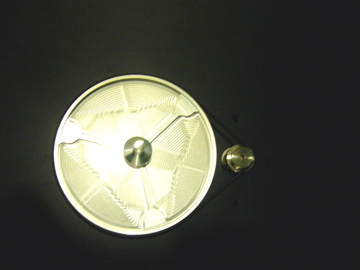 Listening to the aluminium sub-platter in isolation in the stock P1, one senses a slightly quieter background and more stable images – noticeable, but hardly earth shattering, for the money. As the single most expensive of Michael’s replacement parts, targeting the sub-platter as first change may not be the most sensible, at least when upgrading a stock P1. Cumulatively, the modded P1 (with acrylic platter) certainly sounded like a superior turntable to the P1 (also when with acrylic platter). Somewhat surprisingly, I now thought the stock version to be somehow more listenable on certain material in spite of its sonic inferiority. With the better ambience and clearer detail retrieval, one notices all the more the “leftover” weaknesses from the stock P1, that of pitch instability, painfully highlighted by spinning Beethoven’s Piano Sonatas. On one passage from Appasionata, the modded P1 conveyed the impression the pianist might have been mildly sea sick. You’ll find yourself considering the Rega (official) motor upgrade in no time! These upgrade parts would perhaps be more effective when one is contemplating modding a higher Rega model (especially an older sample thereof) and not so much for improving a “starter” P1. 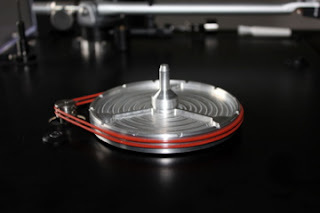 Note that use of the dual pulley means one loses the 45rpm function if one does not have electronic speed selection. 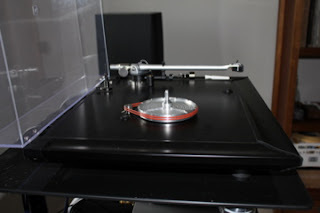 These bits (save for the acrylic platter and silicon belt) don’t depart from the engineering choices Rega itself implements in its superior models. Rega, however, does not sell such parts individually to allow lower model owners to upgrade them. 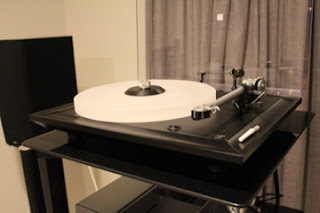 Lim’s prices are attractive and the results are good, so they warrant being checked out if you are wondering how to get better sound from your LPs on a Rega table without having to spend large sums. Bossa Nova style is genuinely Brazilian. And samba, well-loved around the world, is best-known to be a symbol of Brazilian musical expression and Brazilian carnival too. So don't you think Brazilians are very musically people? 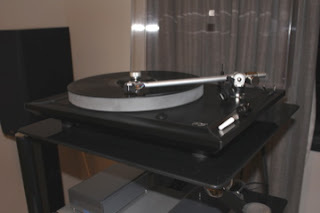 Thiago of Brasilia, Brazil has a Rega P5 TT which is recently upgraded using my dual pulley, silicone belts, aluminium sub-platter, VTA spacer and acrylic platter. Just to mention, he is one of the first overseas friends I come to know through this blog. A very pleasant person to deal with, he took great trouble to send me his feedback after each upgrade. I really appreciate his effort! "Greater bass control, and AIR. I guess this is one of the best descriptions of this upgrade: a lot of air showed off, giving room for a more natural and envolving sound. I really appreciated this little piece." What about with the aluminium sub-platter upgrade? "It took a little while to settle down, but once it did, it was marvelous. I also took the opportunity too re-align the cartridge and the counterweight, so the improvement was huge." "Sonically speaking, it seems to have opened a little more my system, without compromising its bass response. It's still too soon, my I guess I'll enjoy this upgrade." " I really enjoyed the acrylic platter and Cork mat combo. 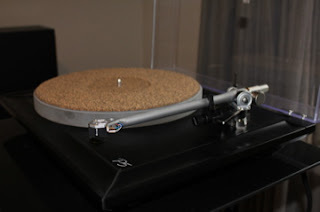 The cork mat hás smoothed the analytic sound that the acrylic gives. And it also tightened the bass, playing a full bodied sound. " Thanks again, Thiago for everything! A friend of mine in Kuala Lumpur has a wonderful system. 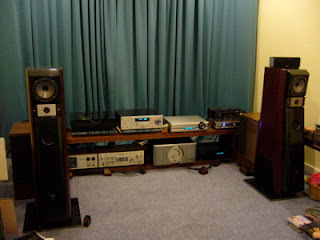 Here's the pictures of his listening area. I have helped him to mod his Rega Planar 3 TT with all the accessories designed for my own Planar. Other upgrades not shown on the pictures includes silicone belts, thrust bearing and acrylic isolation platform. Thanks, brother, for sharing the pictures with us. And I am happy that the Planar 3 sings you beautiful music now! After years of spinning and singing beautiful music to you, one day you may just find your faithful turntable looks tired and in need of repair, i.e. the motor speed is inconsistent, as if it's turning slower and slower. How to check where the problem lies? 1. 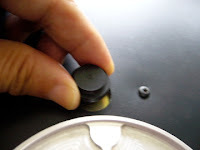 Check if the ball bearing in the main bearing housing is missing (use a piece of magnet or a straw of diameter ~4.5mm). You may use a steel ball bearing of diameter 4.762mm or (3/16") if required. 2. Add one or two drops of suitable lubricating oil (e.g. hypoid gear oil grade 80W90 or light motor oil grade SAE20 or 30) into the main bearing. 3. 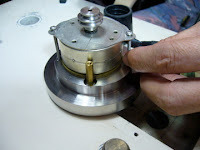 Put two or three drops of the same oil onto the sub-platter spindle and insert it back into the bearing housing. Let it go down slowly until touching the ball bearing. 4. Make sure that the sub-platter surface is clean- free from dirt or oil. 5. Check if the belt is stretched. Over-stretched belt should be replaced as belt slippage will cause poor energy transfer for turning the sub-platter/platter assembly efficiently. Speed stability would be greatly affected. 6. Check if the pulley is tight on the spindle. 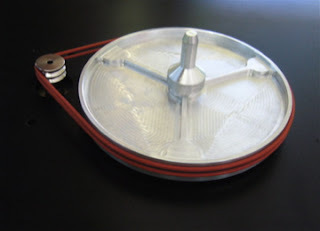 Pulley plays a very important role in transferring energy to turn the sub-platter/platter assembly. Inefficient energy transfer by a "poor" (in quality or not tightly fitted) pulley would result in speed instability, hence pitch instability. A very loose pulley can even ride higher up the spindle as the motor spins and rubs against the platter or it's so loose that the motor can't even drive it to move the platter. In fact most of the plastic pulleys tend to get loose on the spindle due to deterioration of super-glue over time. Try to pull and see if it comes off. 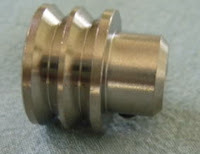 If it's so, you may glue it back using super-glue or you could take this opportunity to treat yourself to a stainless steel pulley upgrade for better energy transfer which brings about significant sonic improvement. Hope your motor speed problem is solved at this point and you won't have to read on! The motor is held by using rubber suspension band to the aluminium mounting plate which is screwed onto the plinth. As time goes by, the rubber suspension band loses its elasticity. The motor not only wobbles more, it also tends to slant towards one side. After fixing the new belt, we find the motor/pulley experiences a bigger tension resulting it to knock/rub against the plinth. To confirm this point, run the motor without the belt on for a while to see if the sound of friction exists. Then put the belt back again and run the motor to compare the result. 1. Change the rubber suspension band, but the motor would still wobble causing speed variations, hence pitch instability. 2. 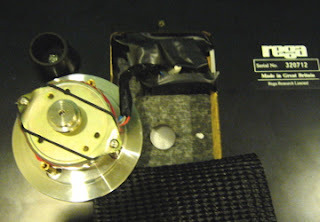 Discard the rubber suspension band and use double-sided tape to mount the motor to the plinth instead, à la P3-24. This will solve the wobbling problem but the motor vibration would be transmitted to the plinth, whence to the record and stylus. 3. 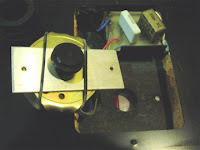 Go for Rega motor upgrade on sticky pad (110V or 24V), but it's costly (moreover, motor is not the cause). Besides, the problem of motor vibration to the plinth will not be completely eliminated, though you get some improvement due to lower vibration motor with aluminium pulley. 4. Resolve to motor isolation base tweak which isolates motor completely from plinth. I have done that for my own Planar 2 and 3. When Jani of Finland communicated with me because of this problem, I suggested he use the motor isolation base. Motor upgrade was not really necessary in my opinion. I decided to do it your way instead of upgrading the motor. Why fix something that is not broken? The broken part would be the rubber suspension for the motor, which was probably tired and did not allow for the replacement of a new Rega silicone belt. The new belt drew the pulley out of alignment which resulted in an annoying click when the silicone belt wobbled. Read more on ...... Jani's joyful experience!